Obviously, featuring more than 200 dishes in an article will be quite long. So, three of the restaurant’s dishes that stand out among the rest will be presented instead. These three are reasons enough to make any food lover keep coming back to this amazing restaurant. Japanese cuisine is simple and this dish perfectly represents the cuisine of the Land of the Rising Sun. 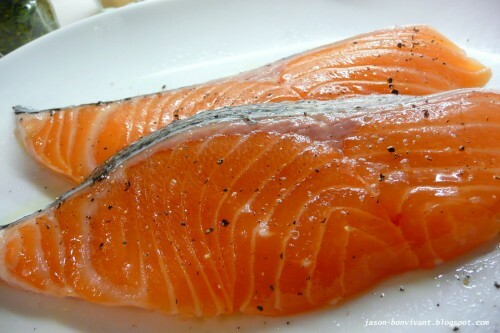 It’s simply sliced salmon with a sesame oil-based sauce and sprinklings of sesame seeds. The dish’s taste is so heavenly that eating this alone makes the buffet’s cost very much worth it. Its fragrant, and flavorful taste is a great way to stimulate the palate. It’s best eaten with hot, green tea and a bowl of miso soup on the side. DADS offers a selection of South American dishes but perhaps one of its best is the lengua. 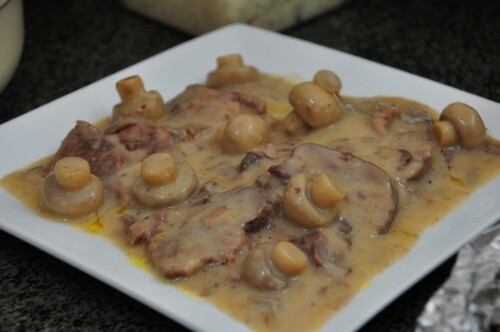 Lengua is pot-simmered ox tongue that is served with a creamy tomato or mushroom-based sauce. DADS’ lengua is so good, so original, that it can put to shame some of the fine-dining bistros in Metro Manila that serve a similar dish. 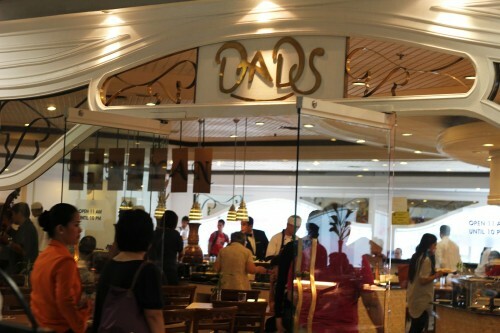 It is a must try for anyone visiting DADS Ultimate Buffet for the first time. It’s great to eat with a siding of the restaurant’s very own pesto pasta and a chilled glass of M&S’ Rosso di Puglia 2012 red wine to complement the dish’s rich flavor. 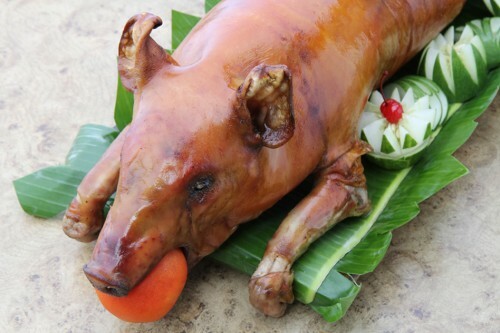 If there’s such a thing as the national food of the Philippines, then it has to be lechon. And boy does the restaurant give justice to the dish that’s commonly served in the country’s most lively fiestas. Lechon is basically a whole pig that’s marinated and stuffed with herbs and spices. It is slowly cooked for more than 6 hours and roasted to perfection. DADS’ “Lechon de leche” is very crispy on the outside and extremely tender on the inside. Pairing it with its exclusive lechon sauce and a cold glass of Coke will surely make anyone’s meal blissful and fulfilling. The good thing about the restaurant is that it continues to improve its menu. Over time, it continuously adapts to the taste of the people and adds more dishes to its already-vast selection. DADS Ultimate Buffet usually gives a free buffet ticket to large groups of diners so it’s a great place to go to when eating out with family and friends. It also has several branches around the metro so its dishes are very accessible to anyone living in Manila. For tourists who are looking for a great restaurant that offers a wide variety of signature dishes, look no further than DADS Ultimate Buffet. This entry was posted by Leslie Anne Go, who has written 8 posts as leslie, on Tuesday, November 5th, 2013 at 5:10 am and was filed under Buffet.